Well my premonition of a Spitfire v Mustang final with the latter winning, seems about to crash & burn. Whilst understand some of the reasons as to why some voted for the 262, I just can't figure how its actual wartime service can be viewed as either influential or by any measure, significant! Allied (British) jet development wasn't that far behind or removed from Germany's, especially when the latter is pursuant upon a totalitarian regime & a maniacal tyrant as its supports, both financially & personally. Jet aircraft were the next logical step from piston aircraft, and without WW2, the development would have been slowler but non the less just as inevitable. As for its significance during its overly brief history, it can be best described as illusionary , fleeting and ultimately wasteful (per resources, strategy & results wise). All valid points but never-the-less. As for adopting/adepting and/or developing Nazi military technology: At the end of the war none of the former allies, including the SSSR, seem to have any qualms of grabbing a piece of that technology whether illusionary, fleeting and ultimately wasteful. Because it really was nothing like that. It was developing technology. To make the analogy: At the dawn of the age of the IC one could view any money poured into IC development that wasteful. Some did, others believed in the possibilities. Just saying. As for industrial supporters of the Nazi system, many of those companies survived and are still here. The repetition of affirmations leads to belief. Once that belief becomes a deep conviction, you better wake up and look at the facts. Hoisted by your own petard . Never said that. I said that the Me 262 had no initial impact on design, ie did not usher in jet fighters. Many believe the Eindecker was the forerunner of single piston engine WW2 fighters. It had a metal body inpart, was a monoplane and had an mg firing straight forward, just like many WW2 planes. 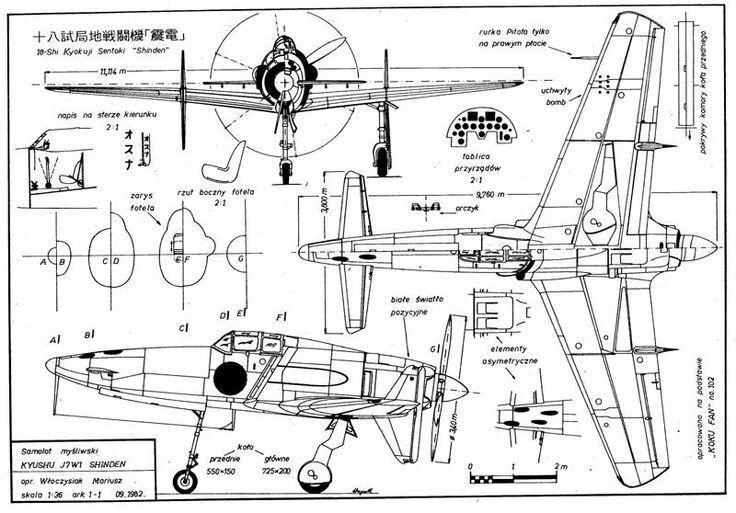 However, the process that led to WW2 designs did not directly come from the Eindecker, its similarities were coincidence. The only thing that the Me 262 eventually ushered in was the swept wing. Wrong metaphor. The first jet aircraft are significant because they have jets, not the wing design. Nobody copied the Me 262's engines after WW2. The Me 262 saw service first, by a few months, because it was put into action before it was ready. In fact it probably never should have been used, but the Nazi's were desperate by then. Better planes were already available to the US and UK. Hoisted by my own petard be damned sir! Are you truly saying that the first combat ready jet did not usher in the jet age? Sir,you may well have have left your wits behind you in a small and cosy Welsh Inn,such as I have done in the past!!!! If then,you don't believe as I do that the 262 was the forerunner of jets then what was? It really is plain and simple to me that the only jet involved in air to air combat was the 262,you're surely not thinking that the Meteor contends because it shot a few dooodlebugs down? Here's another thought; The US P80,what a star,too late for 45,shot to **** in 51. Here's a free clue;It wasn't the engines. The Me 262's influence on the future of jet aircraft was negligible. Other and better concurrent designs were in development, the allies simply waiting until they could make sure theirs were reliable. The Me 262 gave us the swept wing. That's it. Aaaaah,slap forehead,that's it,nothing to write home about after all,I see now. So only every single mofo aircraft that has ever been since designed to fight the other mofo has some kind of swept wing, nay! swept geometry wing,and you think that we as allies were on the verge of cracking that noodle in 45???? I say no,and the records back that up.we had no clue that sweeping the backward incidence of the mainplane of an aircraft would increase its "mach" number. Simply no clue at all. We were all naturally aware of the cases of "controls freezing" and sometimes even reversing when in a ultra high speed dive in a conventional aircraft. Back then the RAF called it compressibility, little knowing that if they had just swept the wings back a tad on their Meteor(an aircraft that went hroughtout its development phase at just about the same time as the 262) it might have not actually gone faster but would have been more ,ahem, been able to "stay with it"or amenable to pilot input at what was then super high speeds. When would everybody except Germany have held the key to sustained high speed manouvres? Last edited by flash; 28 May 15, 21:45. Illusionary is the reason you've got +1 . British jet development design was in front of the Germans, and the reason that while it was a few months later in service, the meteor was at least airworthy. I was wrong about the swept wing of the Me 262. It had no impact because that wing neither was designed nor solved high speed problems. There fore the Me 262's only claim to fame was being a first, and only because it was put into service before it was ready. Actually, it was only a matter of days, and according to one authority (Gunston) it was actually in service first. The only reason that the Meteor was not deployed outside the UK is,reportedly,that there were fears that an example might fall into enemy hands. Hopefully I'll get this right . The fact that the Meteor may have been the first jet fighter to get a 'kill' (V1 in this case) does warrant a real first. However, as T.A. Gardener has stated, the US had the first operational jet, albeit not used in combat. US: First operational jet, but not used in a combat zone. Performance significantly inferior to current US piston aircraft. Germany: First operational jet used in a combat zone, but used when still in the prototype stage. Britain: First operational jet that scored an actual kill, but the 3rd jet in Op service. The Me 262 was neither the first jet in operational service, nor the first jet to make a kill. These first were Western Allies planes. In tank terms (re I/S tank poll) the US jet can be likened to the FT-17, and the Meteor to the Marks. Pity that neither jet are here. The Shinden was the Japanese licensed version of the German Do 335...not a new or different design. Lost a lot in translation. Those plans were not available to the Japanese in the 1940's. Whoa little pony. Feel free to quote Wiki, but don't make a song and dance about it. My sole reason for coming back with a follow up on my post is because I said I would do so. The short comings of the Me 262 did indeed spur on further research. Analysis of both Me 163 and Me 262 enabled Busemann to extend this paper of 1935 on swept wings and high speed flight after the war. Yes and again both Me 163 and 262 were not supersonic. But nobody purported this. I think it is safe to say that all a/c pre end of WW II suffered from compressibility and that nobody fully understood the dynamics at that time. I think we are basically singing from the same sheet the difference being you doing rock and roll and I am doing heavy metal. If singing from the same sheet means I am right and you are wrong...then yes, we are. Play La Marseillaise. Play it! All times are GMT-5. This page was generated at 09:59.